How important is lighting to a dance production? Quite simply, the source/intensity/definition can transform the ordinary into the extraordinary. Personally, I think you only realize the finer nuances of lighting in a dance production if you are actually a choreographer or a light designer. A dancer is able to focus on movement, and light in relation to it, whereas a creator of the composition or the light designer is able to visualize the overall effect of the presentation and its impact on the mind of the onlooker. If you’re involved with stage productions or work with films, lighting is an important resource to consider. For me, proper lighting sets the mood of the entire presentation. It builds up… every stop, every movement in the narrative with subtle changes. It is an integral part of how we conceptualize, create and view the production. I don’t think lighting is a separate activity; it is integral to the art of dancing. Think of it as a play. Think of an entire dance production as a play and, to use a Shakespearean analogy, consider all the different aspects of a production as characters in that play. If you remove one, then although you may still have a play, it loses focus… clarity… there are narrative holes… the story does not flow and its not resolved at the end. And just as, in a play, the hero cannot exist without his supporting cast, in dance, a production cannot exist without lighting. This is true of both abstract and more structured/traditional narratives. Light is a crucial element that helps absorb our energy while on stage. And this is true of any performance – be it Kathakali or modern dance. So how does lighting actually work? How does it bring a performance alive or bury something else because of somebody turning a switch at the wrong time? Well… that depends. The truth is that all of this is very subjective. It is like this – lighting and the role it plays in highlighting or focusing the narrative depends on the intentions of the director and/or choreographer. It also depends on whether it is indoor or outdoor and what the audience is able to physically observe and interpret. For example, if you’re dancing outdoors, you have the advantage of using the natural setting ( like a tree, river bank etc) as a design element for the performance and light it accordingly. But disadvantages are weather conditions, time of day and the larger number of lights required to focus on the actors/ dancers. If you’re dancing indoors, in a controlled environment you see the entire show in the frame of a proscenium stage. Then light and shadow become sharper visual elements … they take on stronger positions in the narrative. 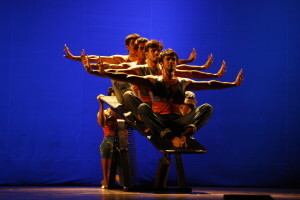 As far as Nritarutya is concerned, I have a company with different choreographers. And therefore lighting is usually an organic decision. It is never that one person has an autocratic voice; rather, it varies from project to project and you can never see what it is actually like until you’re halfway through. The inspiration for lighting is equally democratic – it could be an accidental movement by the dancer that captures light, it could be a painting or a scene from your favorite movie or cartoon strip and it could even be a random streak of light that stirs an emotion. There is never a fixed process, formula and that is what makes it so creative and so interesting. Personally, when I’m involved with a large-scale production which is time bound work, lighting has to start at the same time as the other elements! You cannot plan lighting independent of costumes, choreography or any other creative/technical input. By contrast, if it is a smaller scale production, then maybe, just maybe, it can develop later. Once again though, this depends as much on the work itself as the way the director/choreographer chooses to approach the situation. Let me give you an example. We recently produced a show for Amitabh Bachchan’s 70th birthday celebrations. The production called for a massive 80 dancers on stage and we had only 22 days to plan, rehearse and execute! And Mr Bachchan actually sat in with me personally during briefings and initial readings of the poem we were dancing to, which was the classic Madhushala, written by his father, Dr Harivanshrai Bachchan. Lighting for this project was a complicated affair (not least because of who we were performing for) and one conceptualized and executed across Bangalore and Mumbai. I had to simultaneously coordinate with the sets team and the lighting department, over Skype, emails and phone calls. After all the talking though, the production (and the lighting) only took shape when I threw light on the emotions behind the words. And this brings us to one very important point – flexibility. 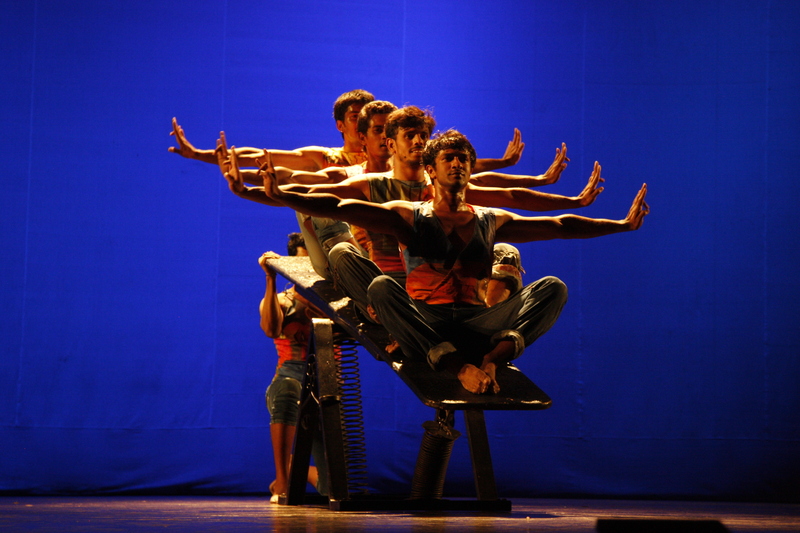 If you’re performing in India – anywhere in India – you need to be flexible in the way you use available resources. As performers, although we may want to, we cannot expect the same kind of lighting, technical equipment or spaces everywhere. Personally, I rather enjoy this because it sparks a degree of creativity and challenge… you work with whatever is available and you try and give your production an extra edge. 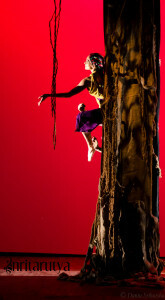 There is also a difference in way classical and contemporary dance forms use lighting. Obviously the latter allows you the opportunity to be more experimental. For example, I remember a dance piece by Astad Deboo – there was one spot on stage, positioned so that while doing dervish turns he’d drift in this single channel of the plain light. On paper this may sound very ordinary/simple but on stage, I think it worked out magically elevating the audience to a meditative prayer like state. I suppose it also depends on how much of a risk you, as a dancer, are willing to take. 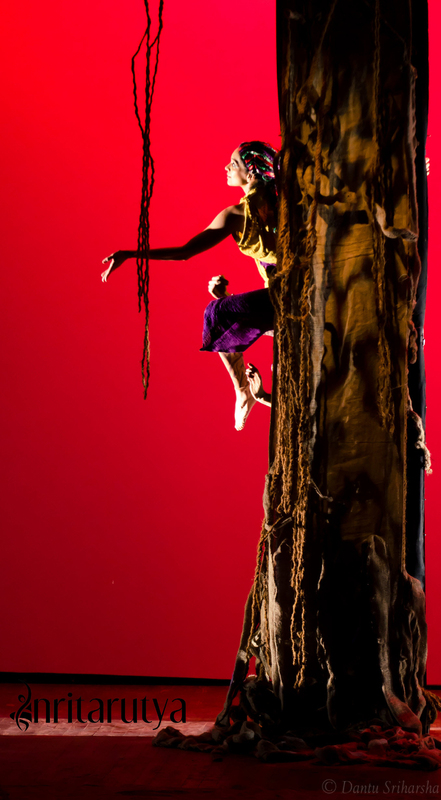 Another example is Akram Khan’s Ma, which actually opens with a musician playing upside down(!) and structural lighting that emphasizes that whole feel – like the world is inverted. Along similar lines, our next production – Prayog 4 – contains a composition based on the story of Trishanku (choreographed by Madhuri). Here too, we need to display a sense of inversion and we’re doing that by creating a well-like light installation that will contain the dancer’s movements. As performers, we also have to realize that lighting cues can go wrong… spots, for example, come on when the dancer is nowhere near that section or they don’t come on when they should. 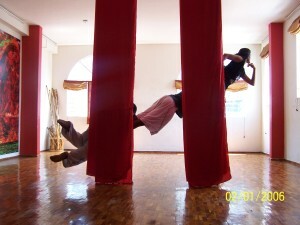 The one thing common between any forms of dance, therefore, is the ability to improvise and create back-up situations on the fly. As a dancer, you cannot control, beyond a certain point, when and how the light comes on and you cannot control, at any point, if the audience is perceiving the lighting as the choreographer intended. Lighting can set the mood, tell you the time of day, transmit even the tiniest emotion and enhance, in immeasurably small ways, the quality of any performance. The Natya Shastra associates colors with the nine rasas and lighting is one avenue to transmit that color and therefore those rasas to the audience. For example… red indicates anger. But what kind of anger do you want to show – absolute fury or something darker and more murderous?How angry your character is can be indicated by the intensity, shade of color gel and this automatically creates a bridge between the audience and your character’s mind . On another level, lighting can be used to physically divide space and even time. The direction of light is also important. If I were to place a light right in front you as a foot light, you’d look bigger… larger than life. If that same light were to be placed on top, then you’d look smaller. At the end of the day, lighting accomplishes multiple goals. Visibility is important… the audience needs to see the performers, the performers need to see each other and the space needs to be manipulated. However, like any other aspect of a performance, lighting can and does add magic to a presentation. It speaks to you – audience or performer – at various levels, even if you are not consciously aware of the conversation.